Widely recognised as one of The Beatles’ greatest lyrical songs, I can certainly see why. John’s beautiful metaphors and imagery could probably evoke exquisite scenes in the minds of even those who don’t think of themselves as imaginative. John uses words that just sound good together, too. An absolutely sublime piece of work that could definitely hold its own without the music! This song’s lyrics are complete nonsense. And that is what makes them so good! Ever since I first heard the song, the different phrases have always captivated me. Whether it be words that probably don’t even exist, or the phrases that end each verse that kind of make sense or just a bunch of words piled in probably just ‘cos, the lyrics in this song are absolutely great! I reckon that this is George’s lyrical masterpiece. The words discuss how humans are only very small; that love could save the world; how the only person who can change themselves is them… Very deep. This is my favourite song ever written by Paul. The lyrics are especially powerful. Lamenting the end of a relationship, Paul sings of how it all went wrong, of how he and his partner fought; of when his other half left him, and of how he will never forget her… Quite sad. The lyrics of ‘Blackbird’ are quite simplistic, but are nonetheless symbolic. Paul encourages the bird to learn to fly, and to learn to see with its various differences. The blackbird has been waiting all its life for the upcoming moment to arise. It then flies into the dark, black night, presumably to face the moment… Supposedly about the Civil Rights Movement. So hard to chose just nine! 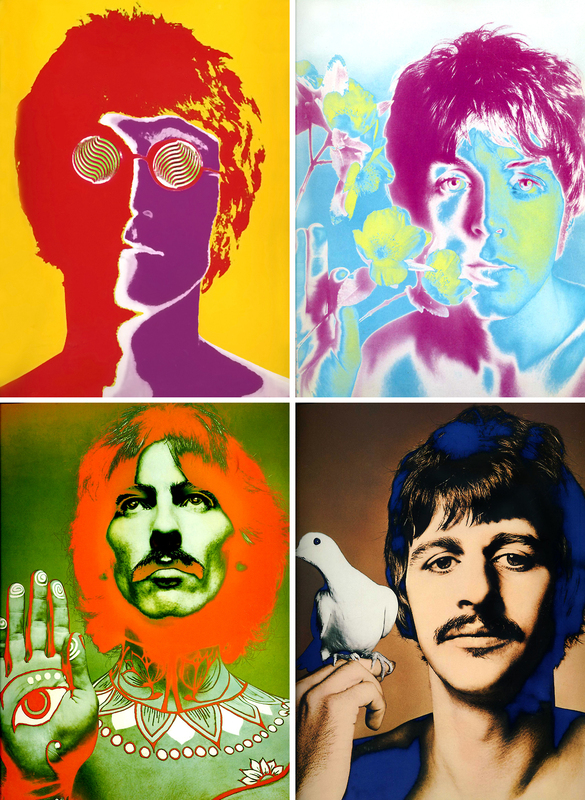 Which Beatles song do you think has the best words? What is your favourite Beatles lyric? Be sure to tell me in the comments! The first many times I listened to the Beatles I didn’t really pay much attention to the meaning of the lyrics – yeah, I quickly knew the words and could sing along, but when I started listening to the lyrics a whole new world opened for me! This is such a wonderful blog post! I’m a fan! You have a really good blog. Thank you for your posting, I agree with you that Beatles songs got many interesting lyrics. And you are right about John Lennon being very good at lyrics, his lyrics often stood out as the most interesting and quirky. I think it has something to do with his poem writing habit because I read somewhere that John Lennon used to spend his spare time by writing poems. Is that true? Paul McCartney is also good at writing lyrics although I like John’s lyrics a bit more than Paul’s lyrics. But I have to admit that Paul McCartney is really good with melody, his melody often stood out as being the most catchy. George Harrison is surprisingly underrated, his lyrics are also good although nowhere as good as John and Paul, but still good nonetheless. Ringo is just not that good at lyrics, sorry to say this. Although I like him but I just think that Ringo should just stick to the drums or any percussion instruments. Paul McCartney was really edgy there, quite unusual for him.